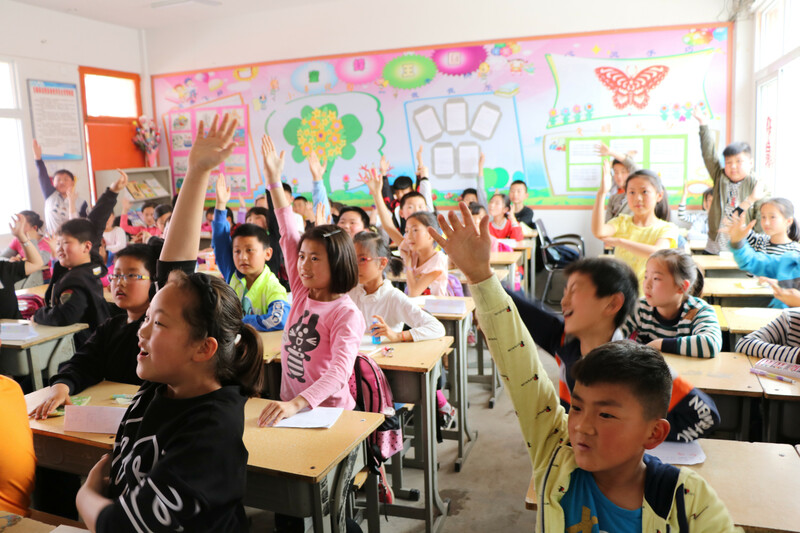 School of Management Fudan University, China’s leading business school, steps into primary and secondary education, helping teachers and pupils in the rural mountain region of Huoqiu with the 5th Young Activity Initiative. With kind acknowledgements to Ms. Sophie Yu at School of Management Fudan University. School of Management Fudan University holds an outstanding academic record in China and the wider Asia-Pacific region, educating its students to step into the country’s business elite of tomorrow. With such a reputation it is hard to think that a prestigious school should also be one of the foremost leaders in responsible leadership and business practices among its peers. But it is. Indeed, the school has long-since integrated the values of ploughing back the benefit of both education and business into the wider community and the common good. In recent years it has pioneered the Ai Social Value Creation initiative, a CSR case award in partnership with top Chinese consulting firm Guan Aitong, where students analyse Chinese corporations’ value creation and how they distribute this to wider society. Such is the success of the award that firms are now seeing an impact in their stock ratings depending on their performance in the case award. Yet another initiative aims not at the high end of the world of business, but at the humbler, grassroots level of education in rural regions. Its impact, however, is just as worthy. This is the Young Activity Initiative, a twice-yearly, two-week event now in its fifth successive year. In August of this year, School of Management Fudan launched the fifth Young Activity in Linhuaigang, a town nestling in the scenic hills and mountains of Huoqiu in eastern China. Calling for volunteers among its students, faculty and staff, more than 200 of them replied to participate – including 190 undergraduate students, 11 mentors, 7 administrators and 10 additional volunteers. 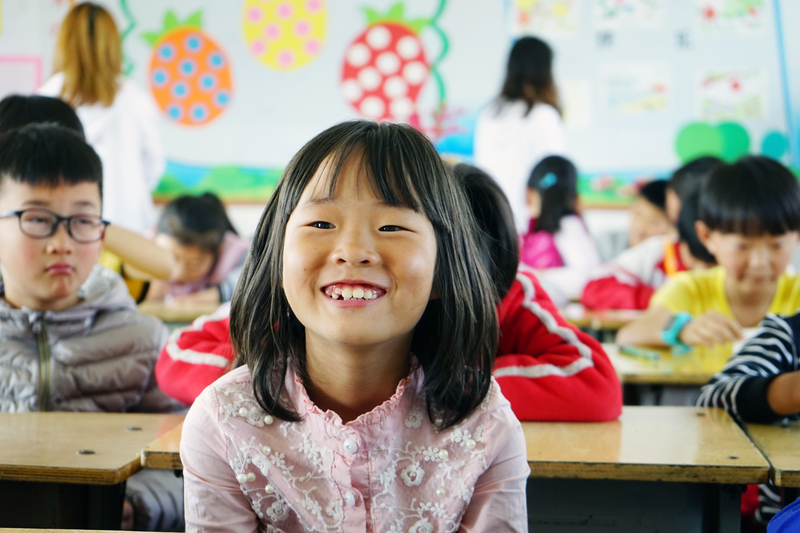 Since 2014, School of Management Fudan has succeeded in establishing 6 education practice bases in different primary and middle schools throughout Huoqiu, organising the Young Activity Initiative to provide voluntary teaching in these areas. Book Corners have also been a feature of the project, 5 of them having been set up the region’s primary schools, with books collected from donators at the School of Management Fudan. This time, the volunteers also brought with them 70 desks and chairs, as well as 60 school bags for local students and pupils. Organised into 15 groups, the 200 volunteers were sent to Linhuai Central School, Linhuai Junior High School, Daxing Primary School, Shuangmen Primary School and Modian Primary School in the area. Each group had the responsibility to design a variety of courses based on the characteristics of the students with the aims of trying to cultivate their interests in learning, expand their knowledge and broaden their views. The School of Management Fudan volunteers also brought their expertise to the local teaching staff with a number of train-the-trainer workshops. The Young Activity Initiative is an ongoing project that becomes more organised and enhanced as time passes. ‘Behind the project and its activities is the overriding aspiration to plant the seeds of hope in children’s hearts, and strengthen their courage and confidence to challenge the future,’ says Prof. Lv Changjiang, Vice-Dean of School of Management, Fudan University. 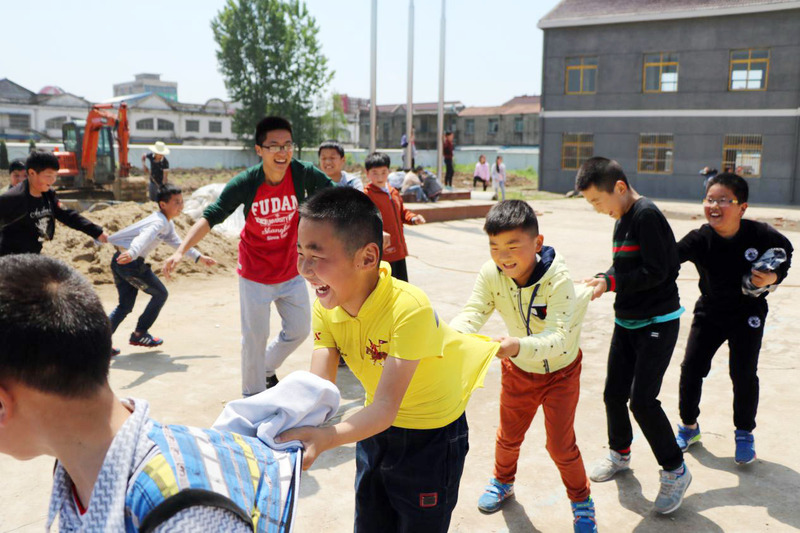 ‘The activity shall be passed down from generation to generation among School of Management Fudan students, bringing enthusiasm and hope to the children in the DaBie mountain area. Looking for a step up in your professional ambitions? Browse the FDSM and member school degree programme portfolio on the Council’s website.